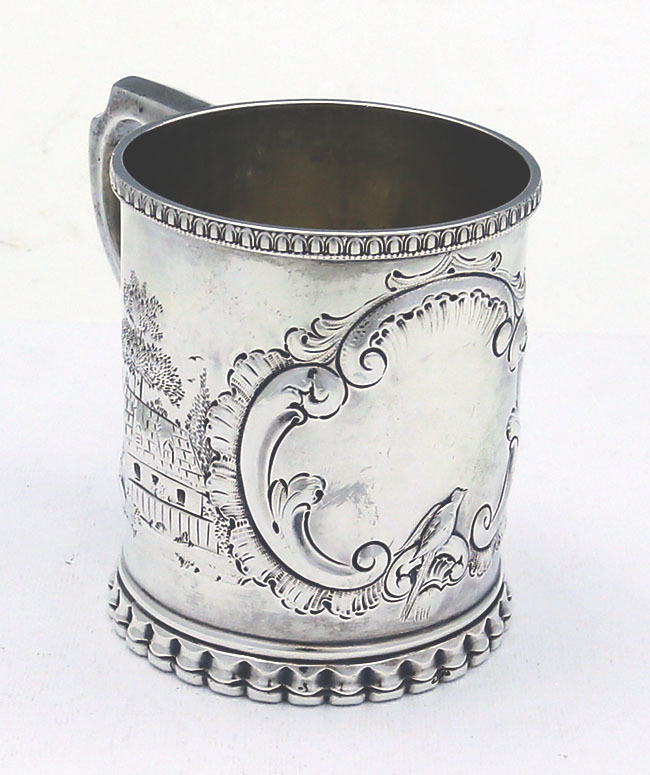 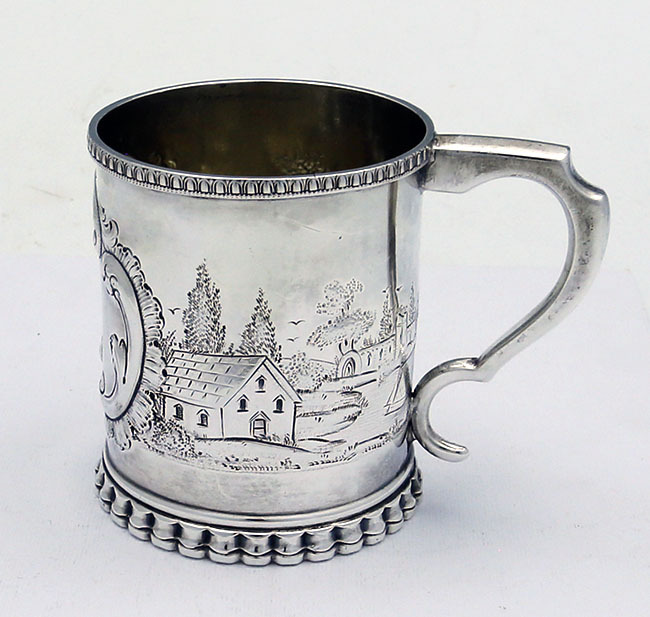 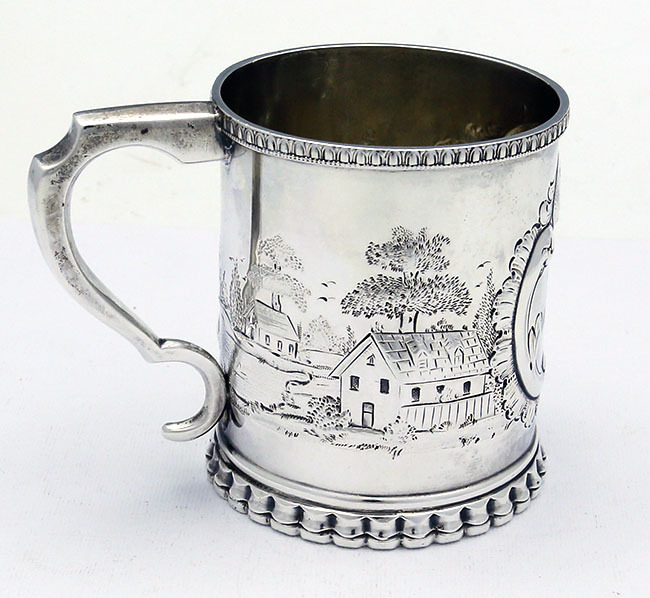 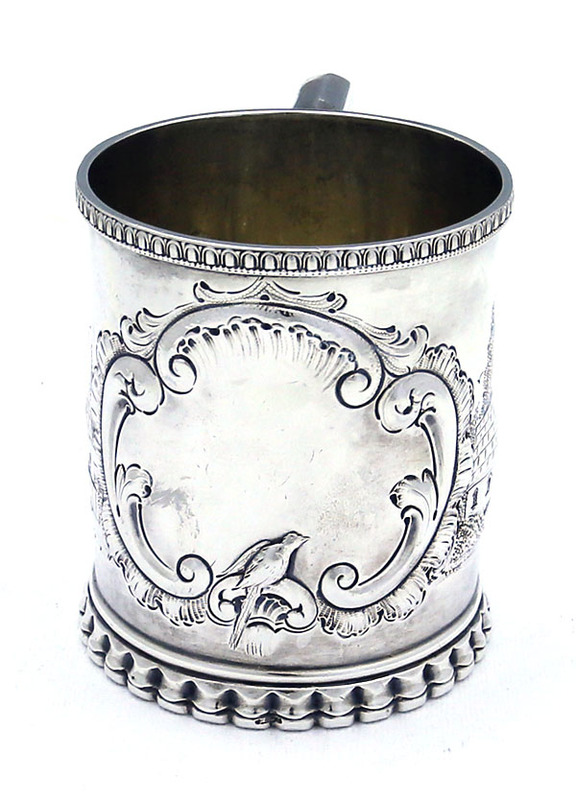 A large heavy coin silver hand chased cup with landscape scenes. 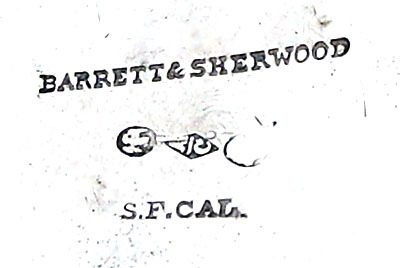 Made by Albert Coles of New York and retailed by the California retailer Barrett & Sherwood of San Francisco. 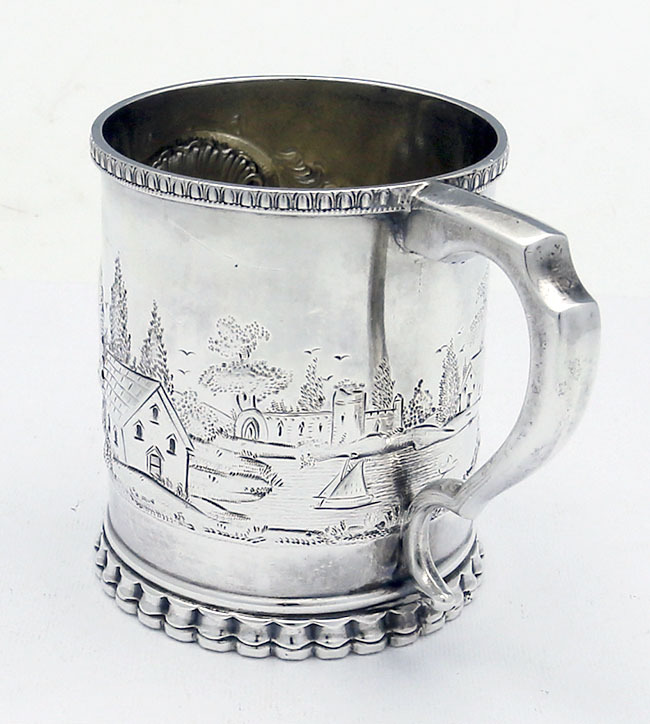 Chunky base and a total weight of 7.2 troy ounces.